INTRASOFT ranks first at European Commission’s DIGIT-TM contract | Intrasoft International S.A.
Luxembourg, 27 August 2018 - INTRASOFT International, the global ICT has been awarded first position in the European Commission’s DIGIT-TM Lot 2 contract, covering IT consultancy services in Luxembourg. 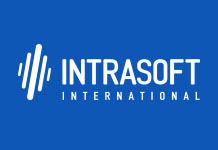 INTRASOFT alongside its consortium partners will oversee all the consultancy services related to the information systems conception, development and implementation, in Luxembourg. Prior to that, INTRASOFT will lead the procedure of analysis and evaluation of the systems’ requirements, quality and enterprise architecture.